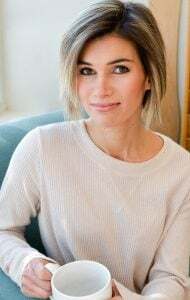 To go along with Part I and II of “Dealing with Food Intolerances”, I felt that talking more specifically about what a paleo AND low FODMAP diet looks like would be appropriate. What better way than to show you some of my own personal favorite go-to low FODMAP paleo meal ideas? Not that you’ve never seen my food before, oh yes I realize that you probably have…and if you keep reading you will definitely be seeing more of it, oops? Regarding the low FODMAP diet ONLY versus low FODMAP + Paleo, if you are ONLY following low FODMAP and not paleo, gluten free grains are most definitely included. It’s not the gluten (protein) we’re avoiding in wheat, rye, and barley specifically, but rather the fructans (carbohydrate) found in wheat, rye, and barley that are difficult for many people to break down and digest. I’ve found that I feel better when I limit grains, with the exception of white rice and occasional corn. I’m not sure if it’s the higher fiber content or something else, but too many grains cause me to feel gassy, bloated, and gross, similarly to when I eat cauliflower or brussels sprouts. It seems that paleo plus low FODMAP makes me feel my best! 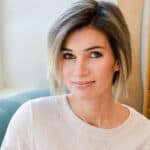 For an informative and easily broken down explanation of FODMAPs, click on this “what can I eat” food list or check out the Whole30 low FODMAP shopping list. 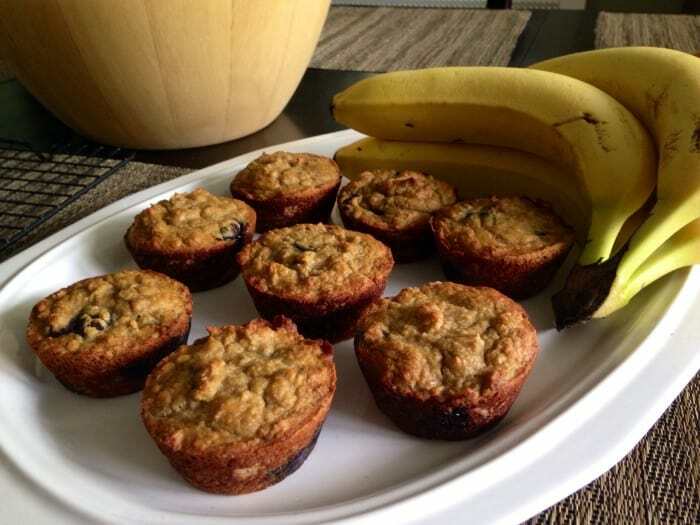 Banana Blueberry Muffins – If you’re sensitive to even a small amount of honey, sub maple syrup for honey in this recipe. I find that I can tolerate small amounts of honey well in baked goods. As long as I don’t eat 4 muffins at a time. These are that good so be warned! Have one as a quick breakfast to-go with a banana or smoothie, or alongside eggs and bacon. 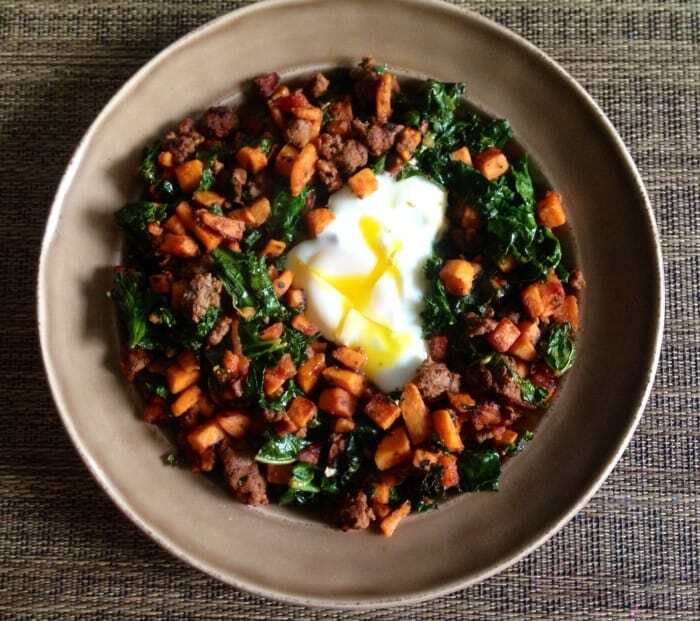 Basic sweet potato hash with ground meat and greens. Topped with an egg, of course! If you’re using sausage, make sure it doesn’t contain garlic and onion. I love sausage seasoned with just salt, pepper, sage and fennel, or a poultry seasoning mix! Mini Frittatas with Sundried Tomatoes, Broccolini and Bacon. Since sundried tomatoes are dried and therefore concentrated, many people have trouble with larger amounts. Unless you’re eating 4 of these (again, be warned!) you won’t be getting a large amount at once. Lemon Almond Spiced Snack Cake. Coconut sugar is a great low FODMAP sweetener! 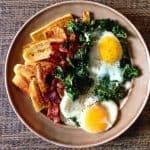 This is perfect as part of a make ahead, on the go breakfast. 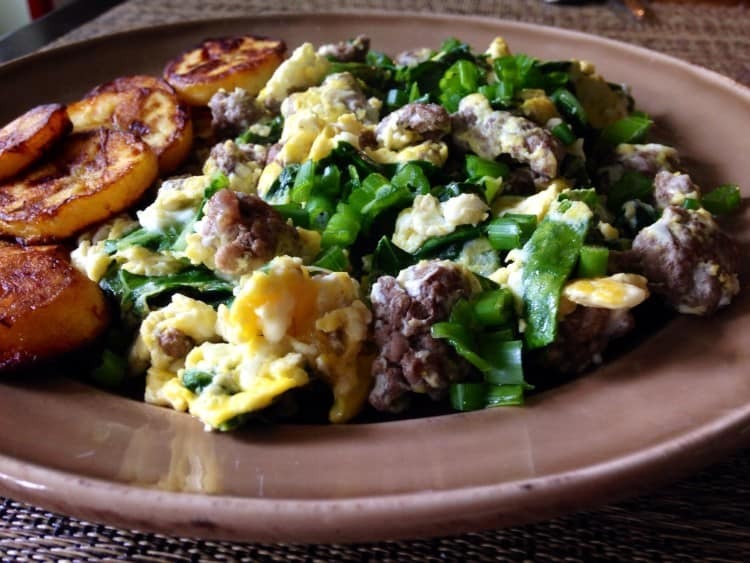 A simple egg scramble with coconut oil fried sweet plantains. Another go-to favorite of mine, eggs and plantains are a win and great as a post run meal too. Homemade pork breakfast sausage with eggs and cooked greens. I love that all my favorite greens are low FODMAP! Spinach, swiss chard, collards, and kale are frequent flyers around here, cooked in ghee, coconut oil, or bacon fat. 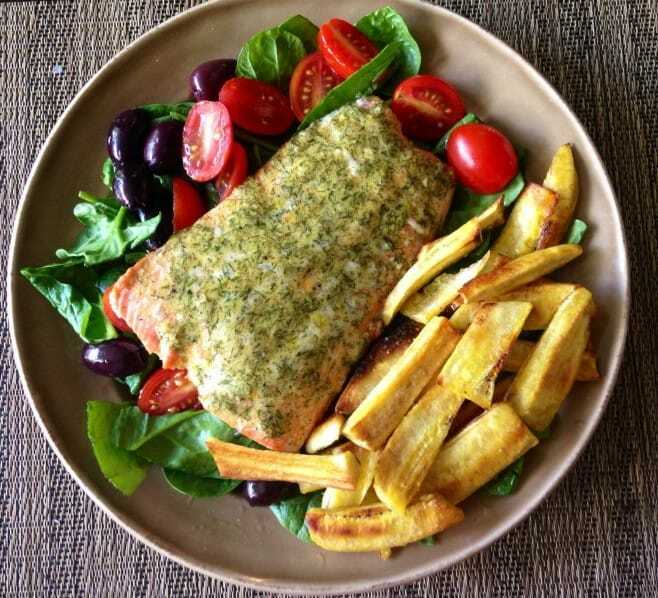 Buttery Dill Mustard Baked Salmon over a salad with baby spinach, tomatoes, and kalamata olives (yes!) And a side of fried green plantains, because I just can’t resist. Always seasoned with sea salt. 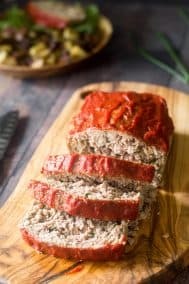 Low FODMAP meatloaf with maple chipotle ketchup and baked japanese sweet potato fries. Add some cooked greens in there too 🙂 Not my best photo, but trust me this is a good one to try! Homemade bacon scallion chicken salad – just add some fresh greens and tomatoes for a complete meal! This stuff is the best, and worth the effort. 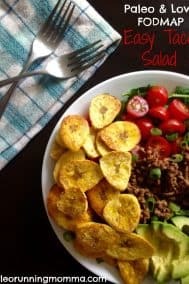 Paleo and low FODMAP taco salad. For some reason I haven’t made this an official “recipe”, probably because it’s just so simple! I spice grass fed ground beef with smoked paprika, chipotle chili pepper, cumin, and sea salt and cook in either ghee or coconut oil. 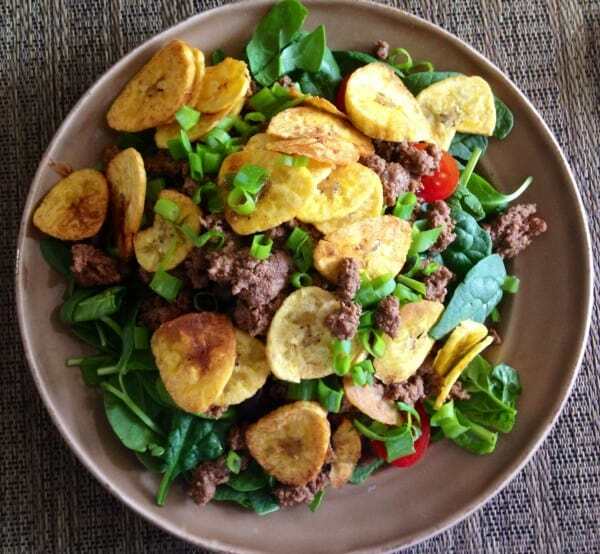 I layer the salad with baby spinach, tomatoes and olives, beef mixture, homemade plantain chips, and lots of green onions. Sometimes I add half an avocado which usually is fine for me. 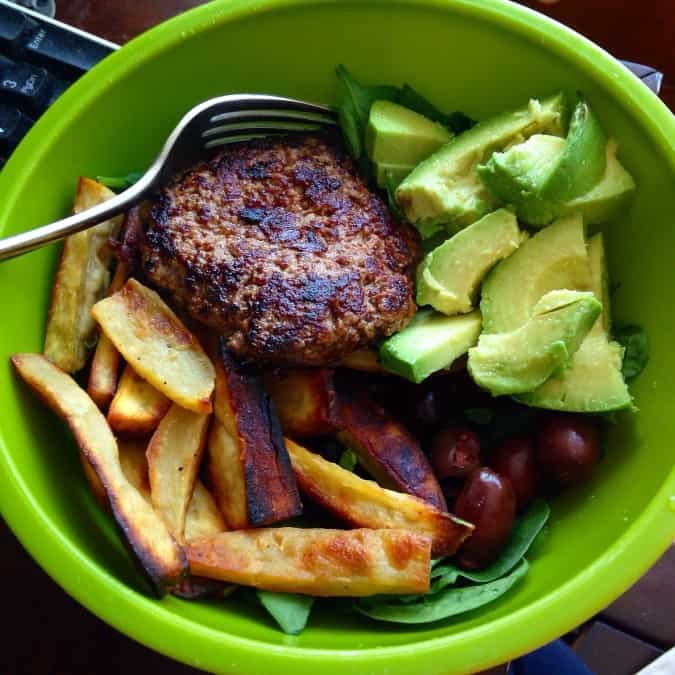 Basic burger with sweet potato fries. This might be my number one go to lunch/dinner meal. Grass fed beef or organic lamb or pork, roasted japanese sweet potato fries (these are leftover!) usually over spinach with olives and avocado or homemade mayo. If I stick to half a small avocado I don’t notice any ill effects at all, this makes me happy! 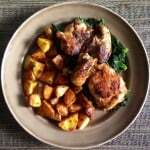 Boneless chicken thighs, seasoned with sea salt and smoked paprika and fried in ghee or bacon fat, over cooked greens, alongside spicy roasted potatoes. 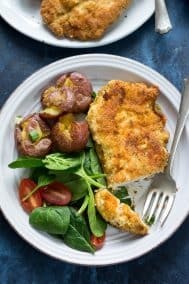 What I love most about this dinner is that minus the spices and greens for the kids, this is one that everyone really loves. Instead of greens I give them whatever raw veggie we have on hand, peppers and carrots are two favorites. It’s fun to play around with low FODMAP friendly spices and figure out what blends you love most. I’m still experimenting and finding some great ones I never would’ve thought of. Okay I’ve gotten myself all exhausted AND hungry now, so I think I’ll break for lunch 🙂 Definitely will be using the go-to burger option for myself today! 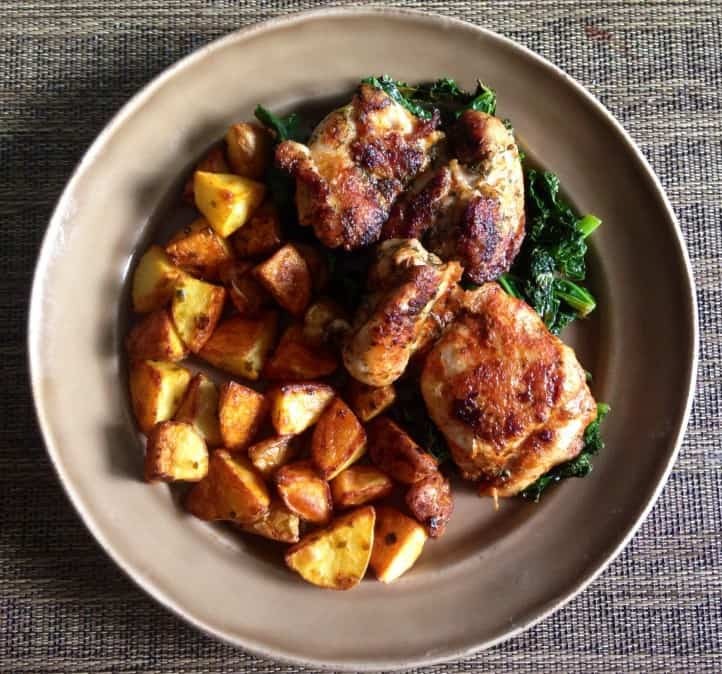 What’s are your favorite low FODMAP paleo meals? What are some of your favorite herb and spice blends? It’s a good one 🙂 And yes to those veggies, some of the best ones are also the worst! Thanks for this, definitely helps! I do know too many grains bloat me just not sure what kind. I do fine with quinoa but not rice for some reason. BTW – my simplest recipes are always the ones everyone wants the recipe for. I never think to post them until someone says on Instagram they wan it. Definitely glad that you followed up with this! I don’t have to eat either Paleo or Low Fodmap, and I’m still, to this day, not sure how I got out of that. But I suppose I did a modified anti-inflammation diet on my own when I was diagnosed, just without knowing it. I love herbs and spices, period. My fave fresh herb is basil. I just sings to me. I also love parsley, actually. Spices? Hmmm. Too many to mention! I love your low FODMAP meal ideas!! While low FODMAP has helped me a ton, nothing is perfect quite yet. I plan on doing a reintroduction soon so I can really figure out what my trigger foods are. Also, all of your plantains look delish! I gotta hop on the plantain train! Yup they’re good and really easy to peel/prep and cook, that’s why I love them! The Japanese sweet potatoes are the best by far in my opinion, definitely try roasting them! wow Michele, your food looks so incredibly delicious! your ideas are all so impressive, it totally takes the scary part of the whole FODMAP thing out of the way. your food looks easy, interesting, and tasty – which is the best part and would be great for anyone regardless of their issues. it’s a bonus that it feels good on the inside 🙂 thank you! Aw thank you, and you are much too kind! And yeah I have to mentally prep for garlic and really ask myself if it’s worth it! Brussels I’ve shied away from lately, although in very small amounts they’re fine, but I just want to eat a lot of them! Thanks for sharing this Michele! There are so many ideas here. I don’t think I have food allergies, but I definitely feel better when I eliminate certain foods. I can feel a difference in my energy levels, especially when I’m running! Everything here looks so good..can’t wait to try them out! I think most people feel better when eliminating excess sugar, processed foods, etc, even without any medical reason, and it’s especially for us runners to focus on all the good nutrition we can get 🙂 hope you try some! 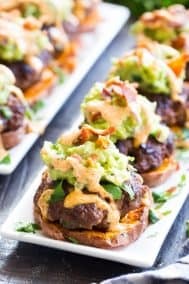 Grass-fed burgers and sweet potato fries are probably are #1 go-to dinner option too. Scott loves sausage, but can’t eat it because it is very hard to find it without garlic or onion. We will have to look into your homemade suggestion! Those muffins look great – I have to recreate them soon. All of these meals looks delicious! We eat burgers and sweet potato fried pretty much every week. And I need to remember to make those blueberry muffins! I eat so many sweet potato fries that I forget you can just bake them and eat 🙂 The fries do go really well with burgers though! I’m bookmarking this page. It’s so full of good ideas! You know the pork breakfast sausage? Do you think I could make a bunch and freeze them? would that work? Yes you can freeze them. I freeze ground meat patties, seasoned or not, just to have readily available for breakfast and lunches! i’d say all these are my fav! seriously, you know the way to my low FODMAP heart. haha! Pork sausage!! LOL, love it 🙂 Sausage without garlic is essential! Hopefully you get some answers and relief very soon! But spice blends? Omg…where do I start! You could make a hash sans eggs, believe it or not I occasionally skip the eggs! And I know you love your spices! Once again, a super helpful post! The resources you posted today and in previous low FODMAP-related posts are so helpful for me- I keep one of the websites with a list of low FODMAP-friendly foods open on my phone at all times so I can quickly check it at the grocery store or at restaurants. 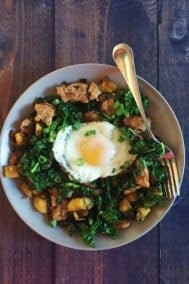 I don’t eat paleo as well, though I’ve considered it, but I love anything with eggs and sweet potatoes! Excellent post! This really really brings it all together, especially for someone who may be just starting to explore this area. I see a few dishes above that I have not tried yet… mmm! Have you tried gluten free oats? I made one of Amanda over spoons desserts using oats and don’t seem to have any issues after eating it. 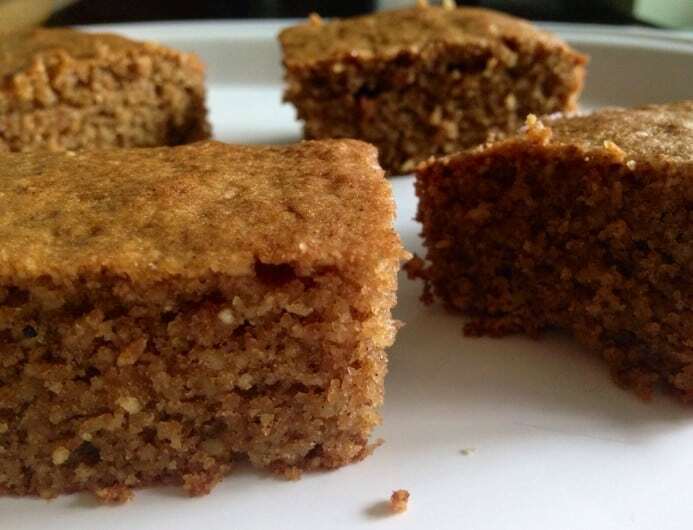 Speaking of desserts I made your Cashew Blondies last night. My wife texted me this morning after having one; “OMG that dessert thing was the bomb!” I thought they were awesome also! 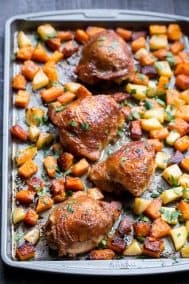 I’ve noticed that fresh onion or garlic used in slow cooker for say pot roast or roasting a chicken in the oven seems to go over much better than powders. I haven’t tried gf oats mainly because I never loved oatmeal in the past, but in a dessert like one of Amanda’s I’m sure I’d love it. Generally gf grains see to be okay though, I will have to try. Really glad you liked the blondies! And interesting about fresh being easier than powders, because for some reason I used to think the opposite and then only used powders! Now I just try to stay away for the most part. One thing I have noticed is that caramelized onions are easier for me, maybe because of the longer cooking time, which would go along with your slow cook theory! Although I am not very familiar with Fodmaps (literally thought it was called food maps for the longest time, and that there was some sort of map with foods you could eat or something) I think it will actually help with some of the stomach distress I experience often. Now if only everything you made could magically appear on my plate too, that would be pretty cool ;). Hi Michelle, thanks so much for this post. It’s really helpful! I have struggled with IBS for a while and have been eating Paleo and just recently have been trying to eat low FODMOP as well. 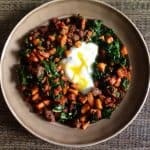 I’ve had a hard time with low FODMOP- so many of my favorite paleo recipes aren’t really low FODMOP. So these examples you shared were really helpful! As you discover new spice blends that you like would you mind sharing them? 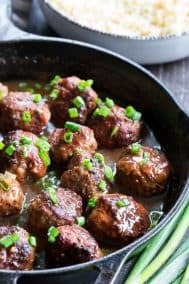 I used to use blends that involved a lot of garlic and onion so I’m looking for some new ideas! Hi Steph! Glad you found this helpful. I’ve found that I can do some higher FODMAP foods but if I go too far, I feel the effects! 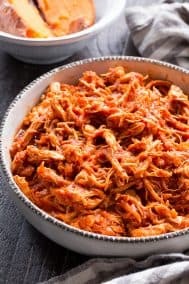 I’ve found that smoked paprika with a little chipotle powder and salt can flavor chicken really well, although I will add onion powder since I don’t think it bothers me. Raw onions or even cooked are another story! I also love poultry seasoning (my daughter calls it the Thanksgiving spice) and fennel to make homemade sausage. You might find that after following low FODMAP for a while you can slowly add foods back and tolerate them better. You can use garlic oil and onion oil as they are low FODMAP. The fodmaps are water soluble so don’t get released when they make the oil. You can also add large pieces of garlic and onion to a pan with oil and then take them out before adding other ingredients to add sine flavour but not if you have water in the pan. I personally almost always use garlic oil for flavour. Thank you so much for blogging simple but tasty low fodmap meals! I’ve been struggling with stomach issues for a while and my ARNP suggested paleo. I felt better for a little bit and then came crashing hard. Turns out that a lot of the paleo foods I am eating are also HIGH fodmap so she suggested gluten free/low fodmap. I was crying this afternoon in frustration (and exhaustion since my stomach wakes me more nights that not) over lack of food until I came across this post and feel like I have a game plan for at least the next week. I definitely recommend trying low FODMAP and forgetting specifically about paleo. I think Paleo helps at first because initially it eliminates high FODMAP foods like gluten containing grains and lactose, but, there are still lots of fruits and veggies, especially when not cooked well, that can really bother you. This is something I still deal with on and off! Too much broccoli, or sauce with onions and I will start to feel it. Let me know how it goes for you! 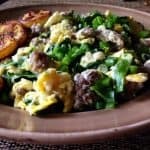 I am confused and really discouraged because I see lists of AIP and FODMAP Paleo and they contradict each other…..In AIP eggs and nightshades are strictly forbidden but in your recipes they are everywhere…..I don’t know what to do! I definitely think it depends on your specific health issues and also some experimentation. If you have a history of mainly IBS and not IBD, my guess is trying low FODMAP for a while is the way to go. If you have autoimmune conditions are symptoms including a diagnosis of IBD I’d try AIP for gut healing. I think for many people with IBS it’s a matter of not being able to fully digest certain foods, everyone is different of course and systematically experimenting can be helpful! Thanks. 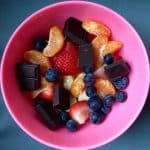 This post is making me feel so much better about having to adopt a paleo low FODMAP diet when I see I can still eat delicious foods. ? This is helpful. Thanks! Paleo AND low FODMAP can be difficult! Thanks for the inspiration! These aren’t really low FODMAP. Avocado is out in anything over 1/8th of an avocado. Sweet potatoes are out in over 1/2 cup. Bananas are only okay if they’re not ripe yet, and even then only like 1/2 banana. If You want to try this recipe than you can read this blog also. It contains more low fodmap recipes. 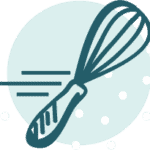 Hope you will get more Delicious Recipes! Thank you for this! I’ve recently been told I need to eat lot FODMAP and it’s been pretty difficult. I already eat fairly strict, and tacking on FODMAP considerations made me feel like I was losing out on so many wonderful foods (and great recipes!). I’m so eager to try these recipes out and do away with my FODMAP blues! Thanks again.